These instructions were prepared using Windows Server 2016, though other, recent versions should also work. Open Microsoft Active Directory Federation Services Management. 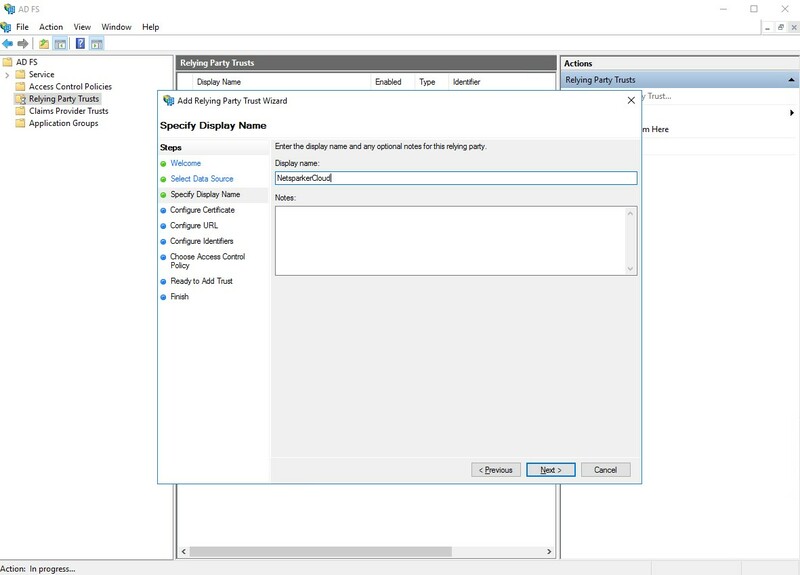 The AD FS window is displayed. From the AD FS node, click Relying Party Trusts. 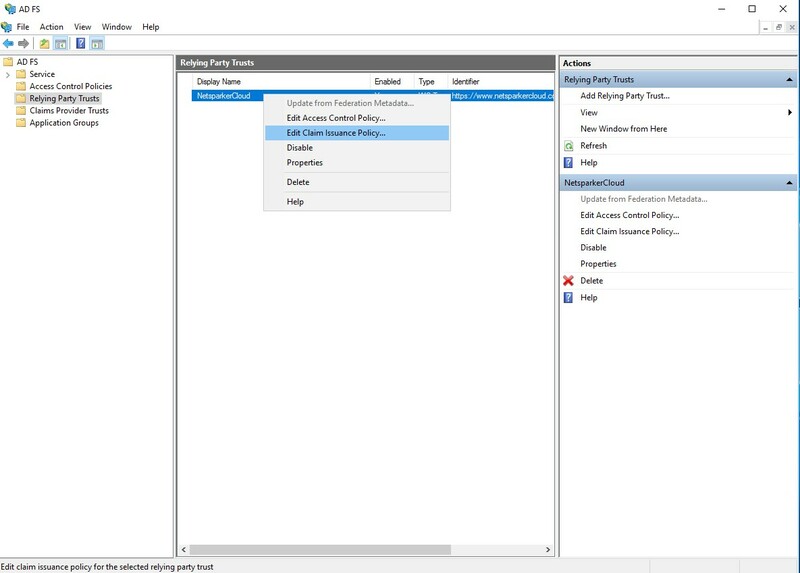 In the Actions pane, click Add Relying Party Trust. 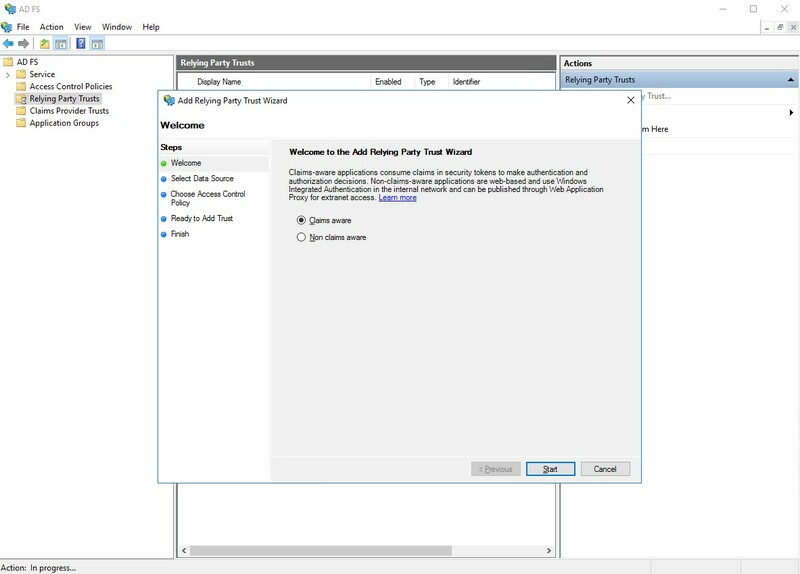 The Add Relying Party Trust Wizard is displayed. In the Welcome step, click Start. 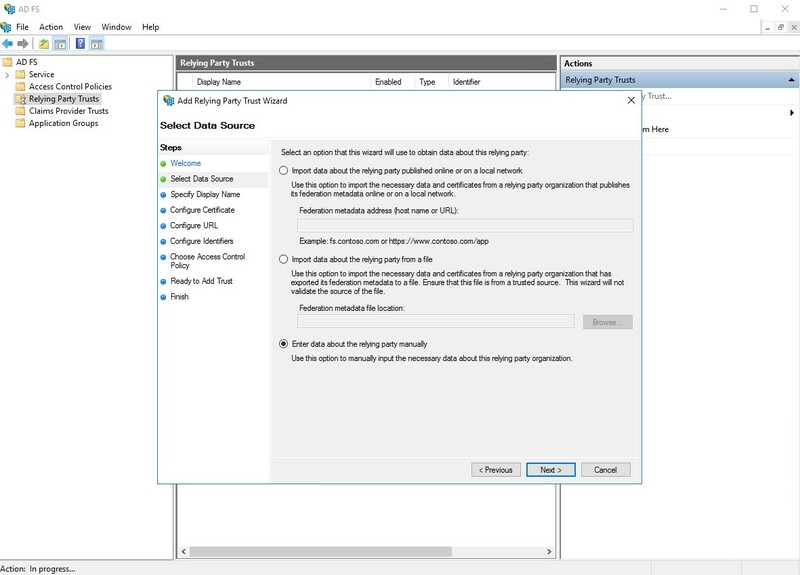 Select Enter data about the relying party manually, and click Next. In the Display Name field, enter a display name and click Next. 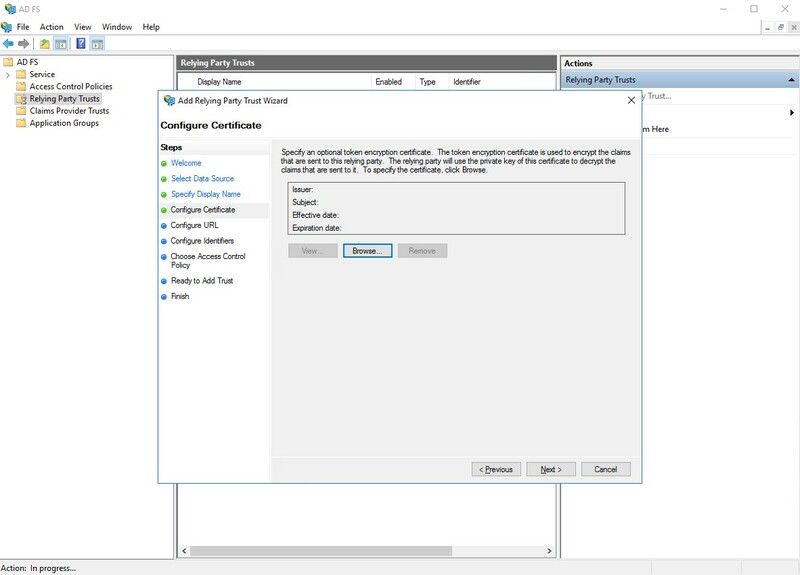 The Configure Certificate step is displayed. Accept the defaults by clicking Next. 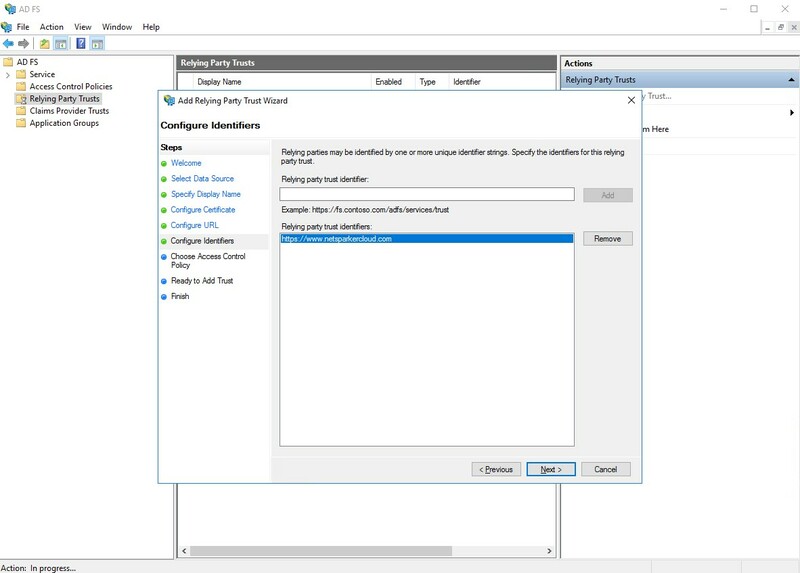 The Configure URL step is displayed. 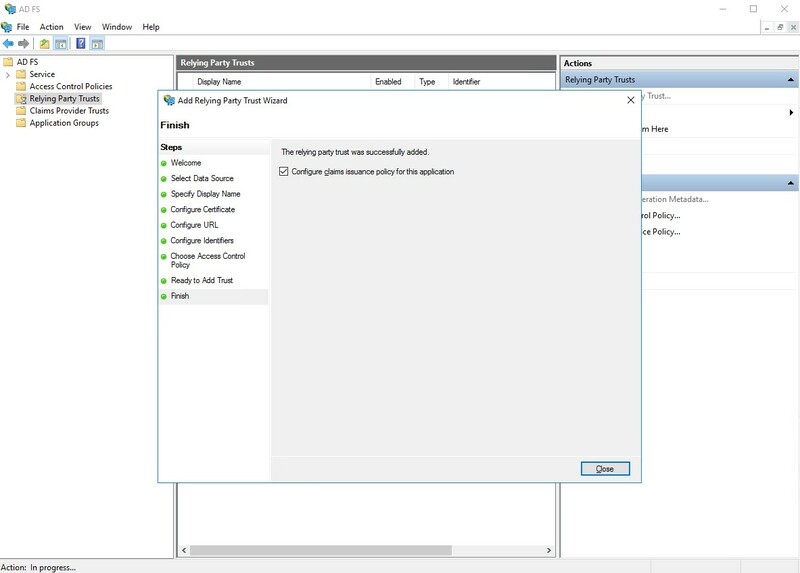 In the Microsoft AD FS Wizard, click Next. The Configure Identifiers step is displayed. 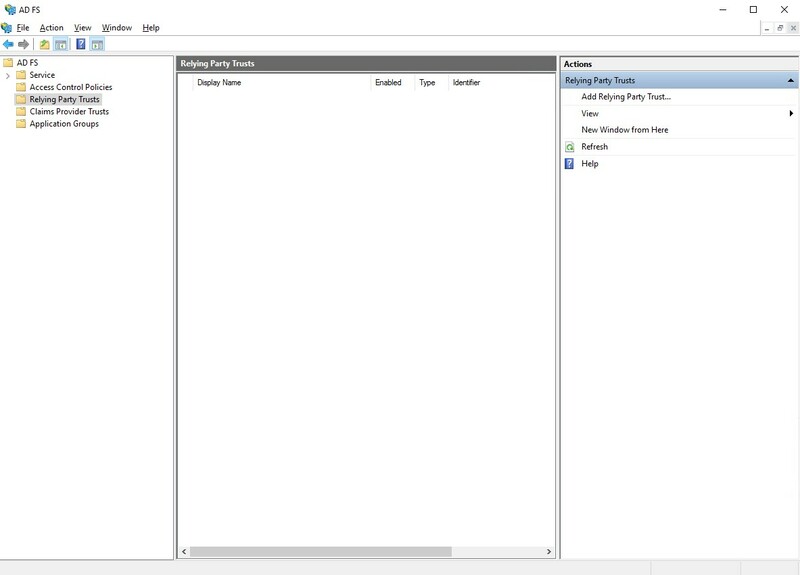 In the AD DS tab in Netsparker Enterprise's SSO window, copy the URL from the Identifier field. Select Permit everyone and click Next. The Ready to Add Trust step is displayed. Review your settings, and click Next. The Finish step is displayed. 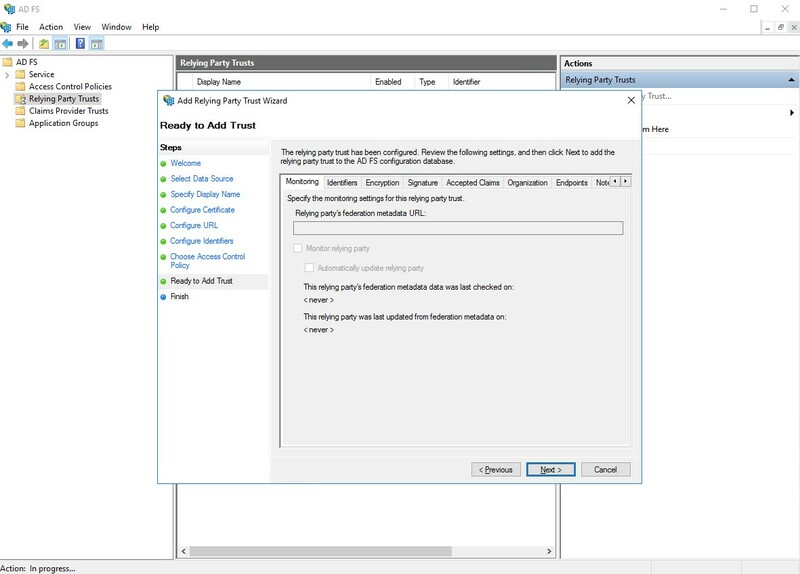 From the AD FS node, click Relying Party Trusts. The Relying Party Trust that you have just created is listed in the central pane. Right click the relying party trust and select Edit Claim Issuance Policy. 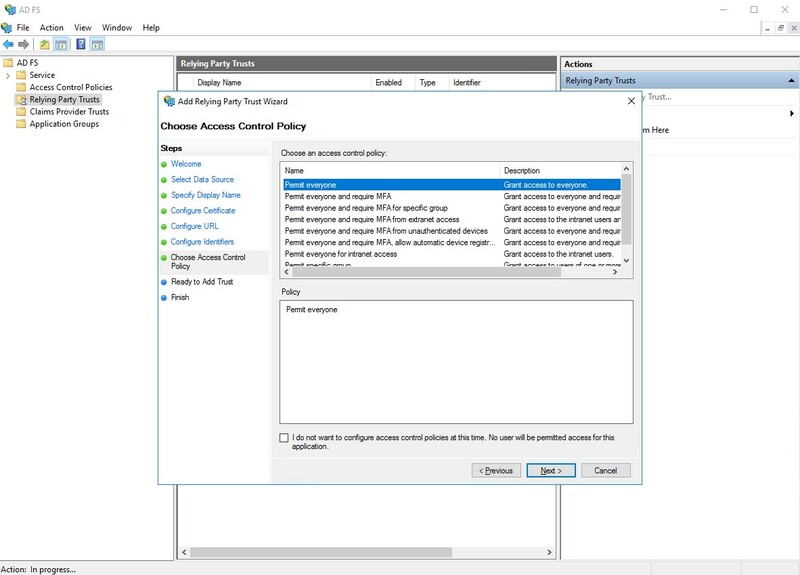 The Edit Claim Issuance Policy for Netsparker Enterprise dialog box is displayed. Click Add Rule. 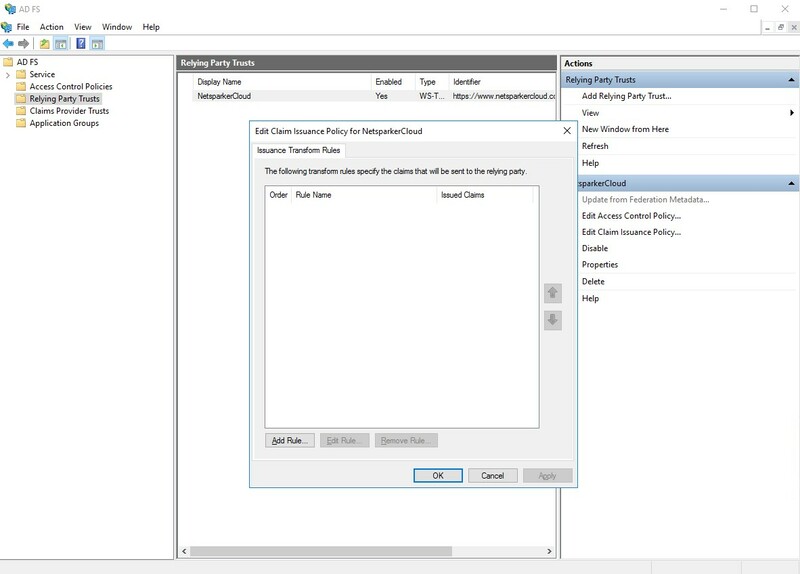 The Add Transform Claim Rule wizard is displayed. From the Claim rule template drop-down, select Send LDAP Attributes as Claims. Click Next. 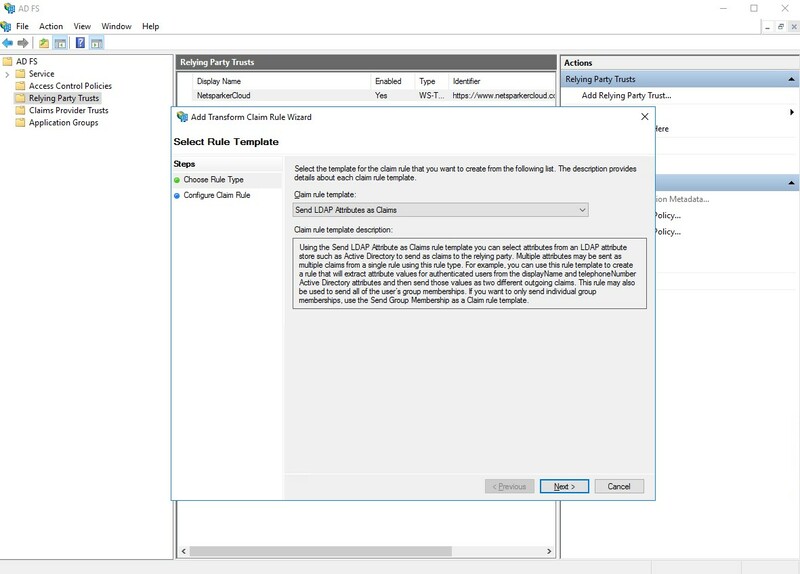 The Configure Claim Rule step is displayed. In the Claim rule name field, enter a name. 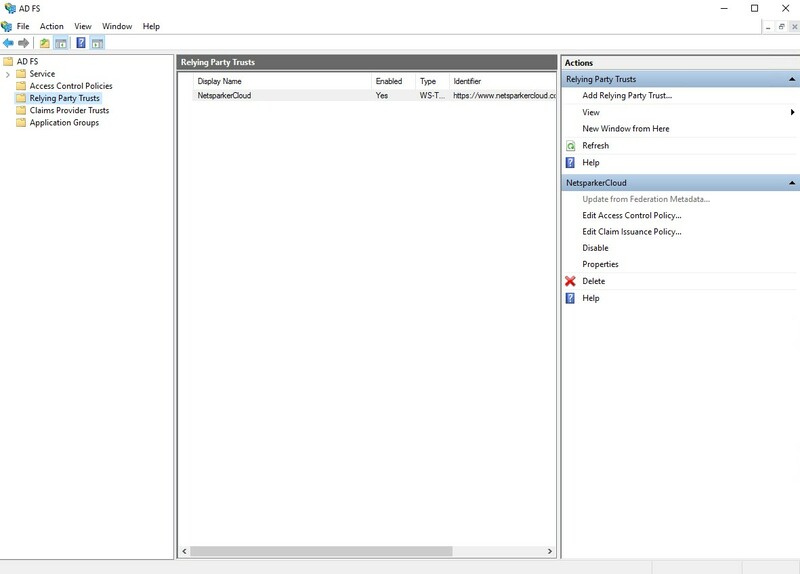 From the Attribute store drop-down, select Active Directory. 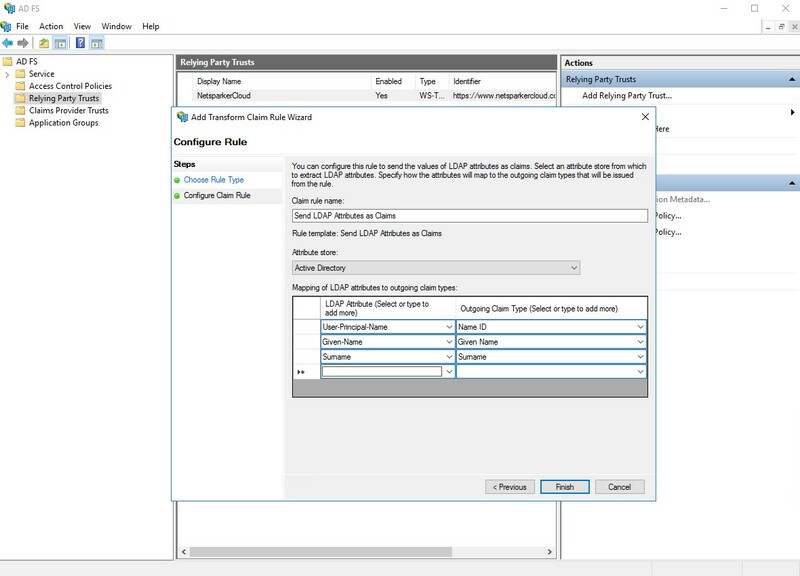 In the Mapping of LDAP attributes to outgoing claim types section, select the following attributes from the drop-down lists. 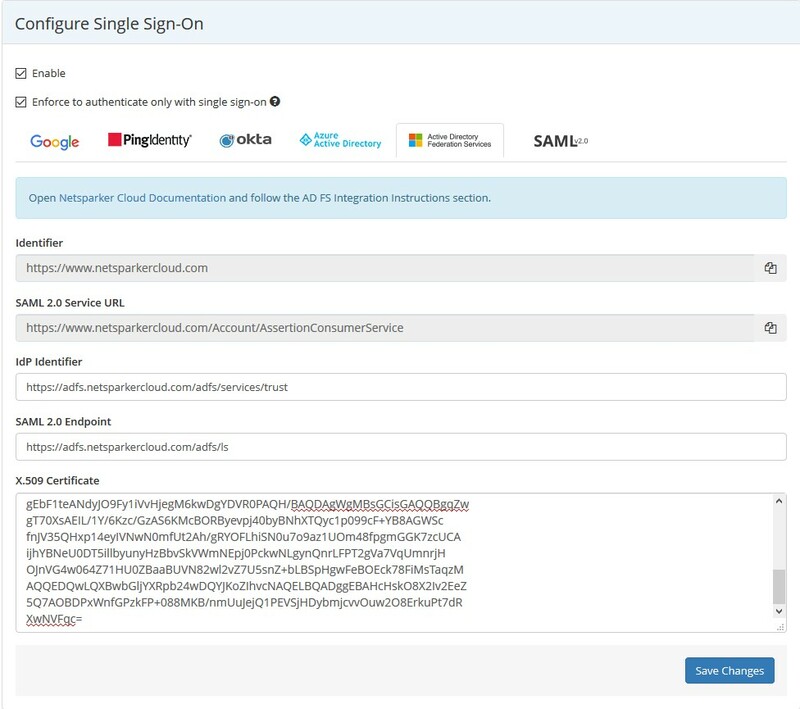 Then, log in to Netsparker Enterprise, and from the main menu click Settings, then Single Sign-On. The Single Sign-On window is displayed. 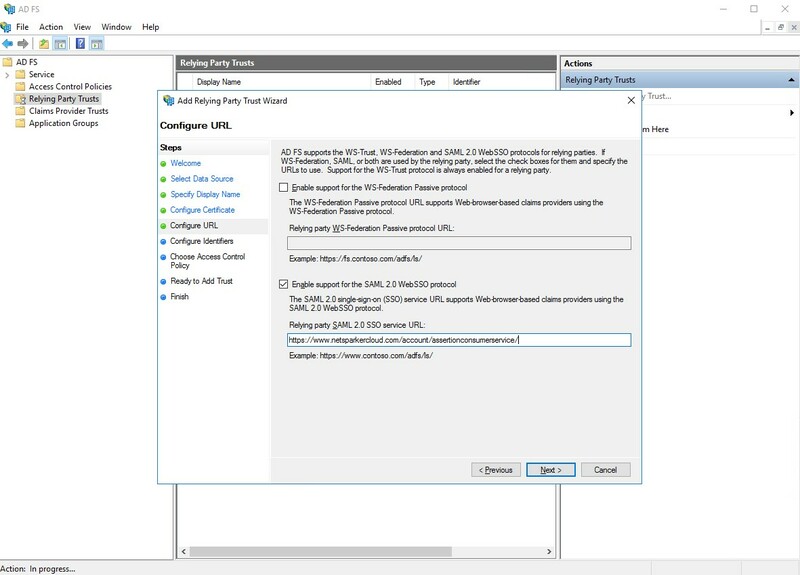 Select Active Directory Federation Services tab and paste the URL into IdP Identifier field.